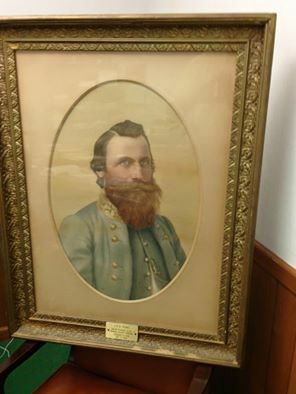 This is the portrait of Maj. General J. E. B. Stuart, CSA, that was taken down from the Patrick County Courthouse court room by Judge Martin Clark on August 19, 2015. The artist is not identified. The age of it is not known. The quality of it is superb. The JEB Stuart Preservation Trust has requested Patrick County government to allow us to save it, protect it and display it so our residents and visitors can come view it.